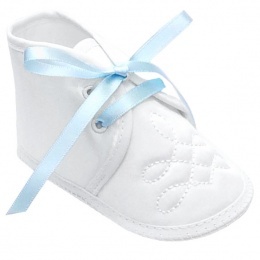 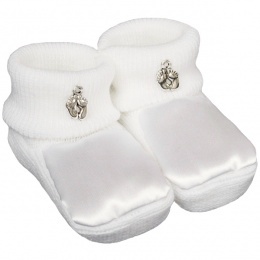 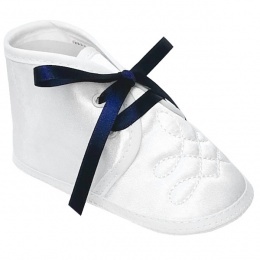 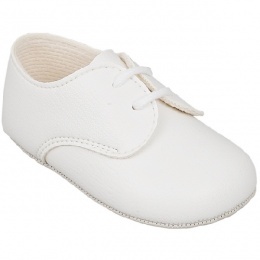 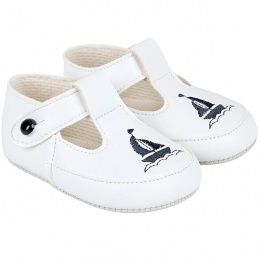 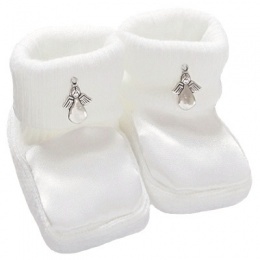 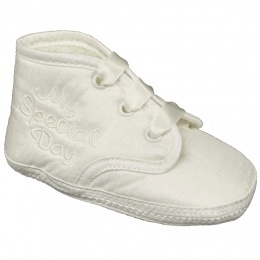 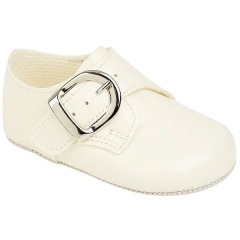 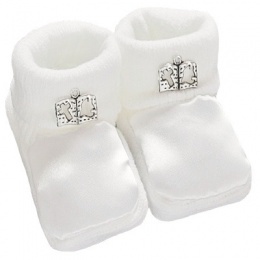 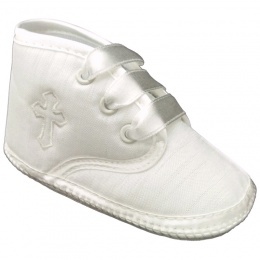 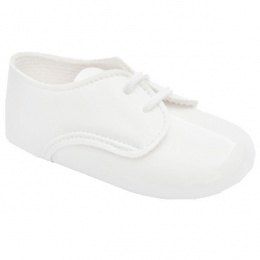 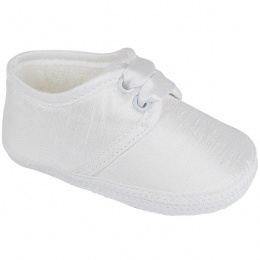 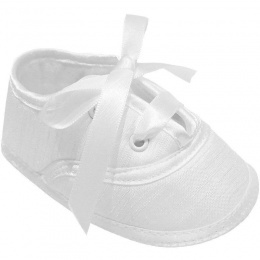 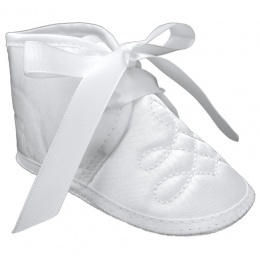 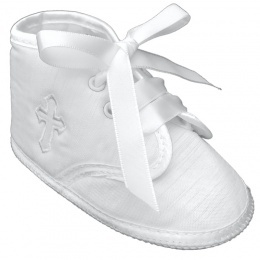 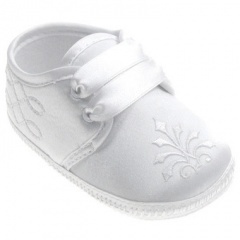 Baby Boys Christening, Wedding & Formal Pram Shoes - A great selection of baby boys satin christening pram shoes and formal pram shoes from 0-3 to 12-18 Months, in an array of colours including ivory, white, black, blue, brown & navy. 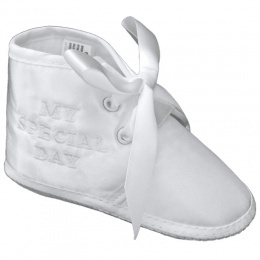 The quality of the shoes are outstanding, the design is to perfection. 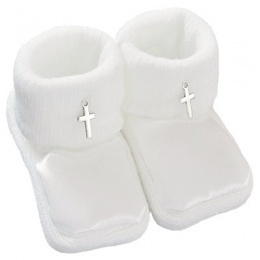 Perfect for a christening, wedding etc. 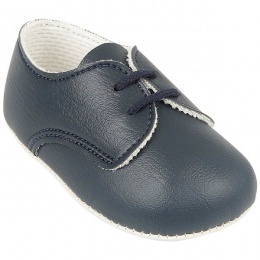 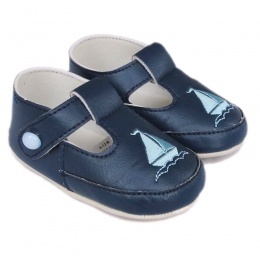 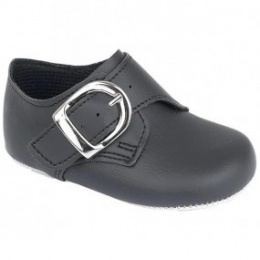 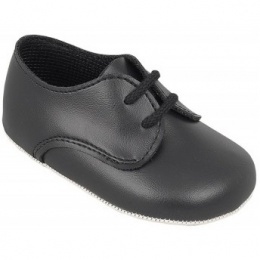 To view our full collection of boys hard sole shoes in sizes 2-10, please visit our Boys Formal Shoes category.